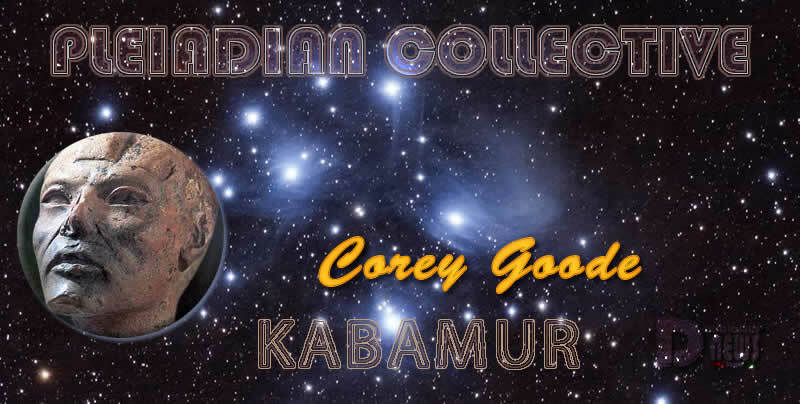 Corey Goode – Pleiadian Collective. By Kabamur Taygeta. We Feel It Is Important To Respectfully Take A Stand Against False Information That Could Cause Much Confusion. We Do Believe The Intentions Of Corey Goode To Be Mostly In Truth, However We Have Noted Enough Misinformation To Advise You. It Is Your Free Will And Wisdom That Will Lead You To Truth. Corey Speaks Of His Confusion Many Times And Has Changed Positions Repeatedly. There Are Absolutely No Beings In Fourth Dimension Called The Anshar. Not Only Is This A Lie, It Is Utterly Ridiculous. Fourth Dimension Is Not Even A Density Where Beings Live In Long Existence. It Is A Place Of Creation By Vibratory Frequency As One Travels. It Is The Density Of Thought Forms, Traveling In Astral, And Although Beings Are Seen, They Do Not Live There As A Civilization! Corey Goode Said These Are Humans Living In The Future. He Does Not Acknowledge Timelessness Nor Does He Have The Experience Of Seeing These So Called Beings. He Is Presenting Fear Based Teaching Concerning The Event. The Earth Will Not Be Destroyed! We Would Never Have Brought You This Far To Then Tell You That Part Of You Will Shift To SHEEN And The Parallel Aspect Remaining Would Burn With People Still Living. He Speaks Of An Energy Pulse And Sun Sneeze Where The Sun Will Explode. Beloved Ones! This Is Not Truth. Do Not Believe One Who Would Cause So Much Fear And Discord. Many That Sit On Stages For Money Will Give You Some Truth And Some Good News. The Rest Is Completely Fabricated. While We Once Respected Corey Goode On Many Thoughts He Revealed To Others, It Has Become A Bit Of A Circus. As You Know, AYA Travels The Densities Continually And I Remain With Her. We Know All Dimensions And Densities As You Know The Home You Structurally Live In. In Discussion With Kabamur, We Had Planned Not To Bring This Up At The Knowing It Would Cause An Uproar. But Know Kabamur Is More Concerned With Truth Than The Backlash This May Cause. We Honor You, Beloved Brother! So We Close This Communication With Love And A Warning. You Are Our Beloved Ones! None Will Be Harmed Before Or After The Event! We Speak Only Truth And Love! This entry was posted in Uncategorized and tagged 4th density, Anshar, Corey Goode, Disclosure News Italia, love, misinformation, shift without destruction, truth. Bookmark the permalink.